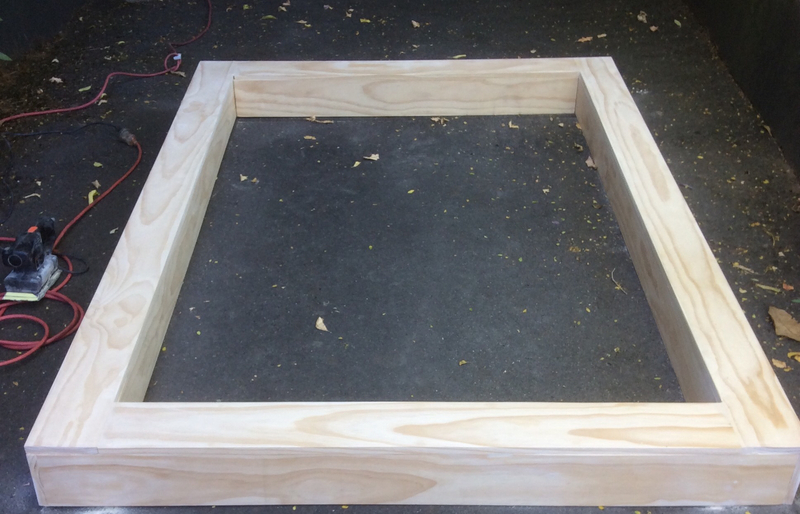 In the first update I went through the construction of the gaming table top frame. Once this was completed I moved onto finishing the wood. This involved counter punching all the nail holes and then filling the holes and gaps with wood filler. I managed to get a Pine coloured filler which matched the wood I used. 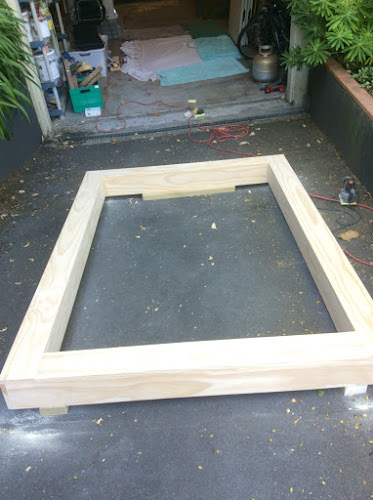 Moving the frame outside I started sanding with first P120 and then moved up to P180 grade sandpaper. This allowed me to get a smooth finish. I used this opportunity to round off the edges so that they would be more user friendly going forward. 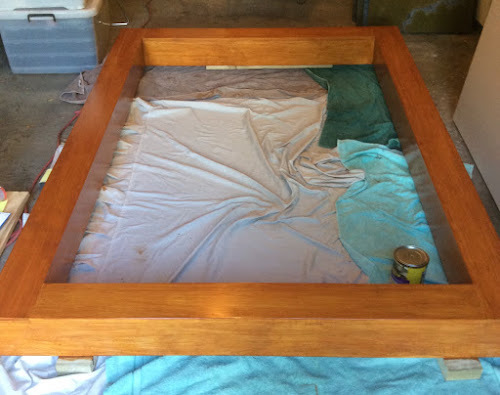 Once finished it gave me a smooth, clean frame to varnish. I used a combined stain/varnish as I wanted a darker, richer colour than the white pine. My colour choice was "Maple" as this promised deep golden finish. I recommend multiple coats to get a rich consistent result. 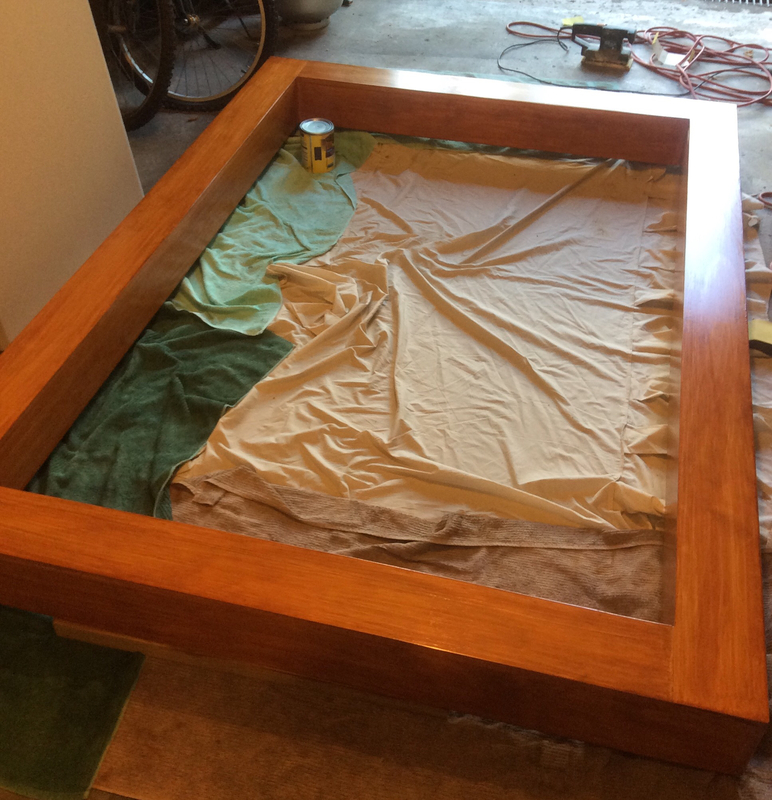 In between each coat I sanded it lightly with P240 sandpaper to ensure that the subsequent coat had good purchase. Using a water based stain/varnish meant drying time was only two hours. After three coats here is the tabletop frame. It has achieved a rich golden colour which I'm very happy with. The next stage won't happen until Jack arrives home. He has the various inserts I'm going to put in the top of the frame. Check back in 3-4 days for next update.